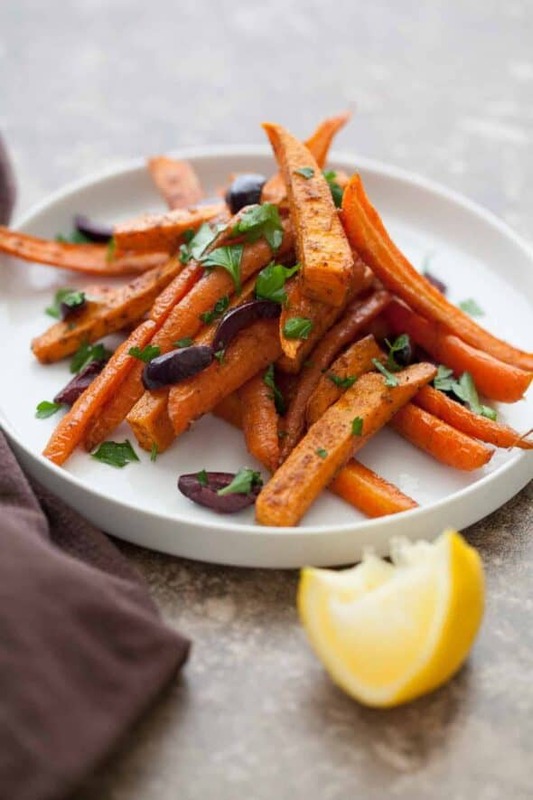 Sweet potatoes and carrots are cut thinly into “fries” and tossed in a mixture of coconut oil kicked up with Moroccan spices like cumin, coriander and garlic. I had never thought of myself as much of a sweet potato person until recently. The thought of them brought up memories of slickly sweet casseroles I’d rather soon forget. But last year I fell hard for these sunset-hued root vegetables and they’ve been on the menu ever since. Roasting root vegetables is nothing new, but throw in a generous palmful of North African inspired aromatic spices and it becomes anything but ordinary. 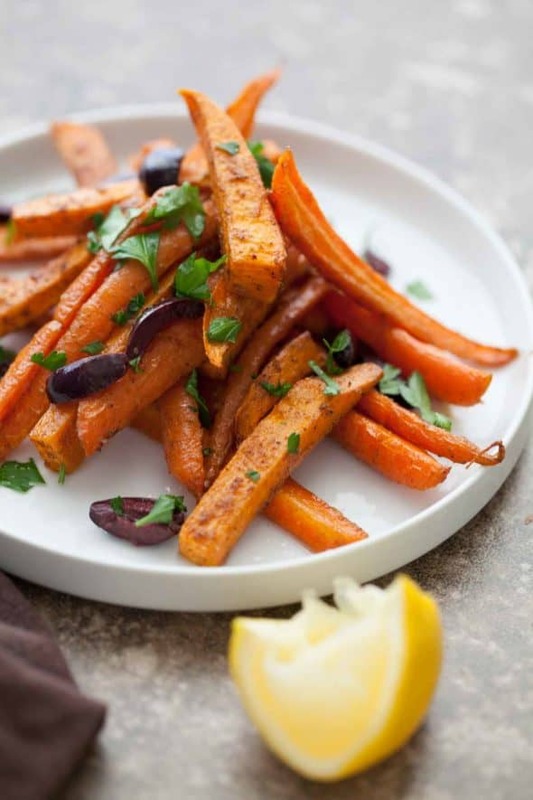 So much more than your standard roast vegetables, these Moroccan spiced roasted sweet potatoes and carrots are bold with flavor. 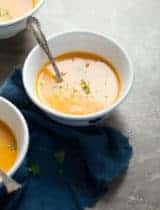 The principle is fairly simple; mild sweet potatoes and carrots are cut into thin lengths, bathed in a mixture of coconut oil and kicked up with spices like cumin, coriander and garlic, then left to mix and mingle in the heat of the oven. The quality time in a hot oven locks in the moisture, turning the insides soft and creamy, while the starchy edges become golden bronze and caramelized (not to mention the way it makes your house smell). Once out of the oven, the natural sweetness of the roasted roots are off-set with a squeeze of fresh lemon juice, a few chopped black olives and a sprinkle of chopped parsley which give the dish a hit of acidity, salt and freshness. These spiced-up carrots and sweet potatoes are fast, foolproof and full of vibrant flavors. Silky on the inside and bold on the outside, this is the best of all worlds, a dish that works just as well warm from the oven or cold right out of the fridge the next day. These spiced up carrots and sweet potatoes are fast, foolproof and full of vibrant flavors. Melt the coconut oil and whisk in the salt, spices and garlic. 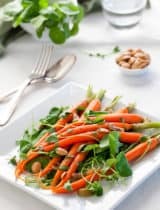 Toss the carrots and sweet potatoes with oil and spices and roast in a shallow baking pan in lower third of oven for 30 minutes or until lightly browned and tender. Squeeze the lemon over the warm vegetables and toss with the chopped olives. Top with chopped parsley and serve warm. Sylvie the recipe, flavors, photography - the whole thing is an A+++ Pinning! I have passionately loved sweet potatoes for ever and like to combine them with carrots, but have never used coconut oil. Spices Moroccan style yes, coconut never! Taste treat ahead :) ! Love the flavours here, Sylvie. Sweet potato is too carby for me, but I wonder if I can do this with some other root vegetable! Oh I'm definitely a sweet potato guy... and a carrot guy... and, well, I like all veggies really. And when you get such beautiful, flavorful spices to season them, it's just magic. What a stunner! I would so much rather munch of these than fries. 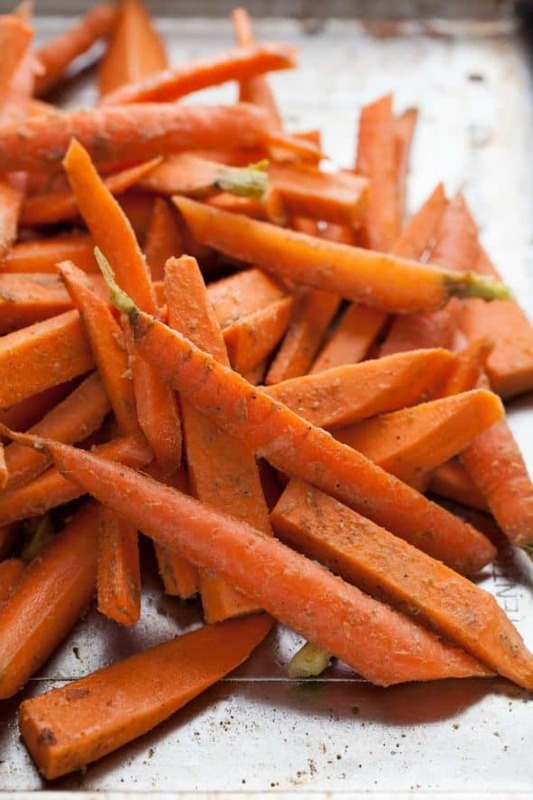 Roasted sweet potatoes and carrots are BIG around our house...I love the spices in these though! I love sweet potatoes. My mom used to bake them in the oven and serve them to us plain, so I never understood why people despised them so much--then I tried sweet potato casserole as an adult and finally understood. :) This recipe is perfect! I have two sweet potatoes I was trying to decide how to cook, so thanks for the inspiration. I love Moroccan spices too. WOW! These do look absolutely delicious!Love that added touch of lemon at the end! I am a huge lover of spices. I have noticed that Indian and Mediterranean cooking uses ground coriander and cumin in their dishes. I like to add some garam masala to this as well :-). Such a comforting and filling dish for cold winter nights. 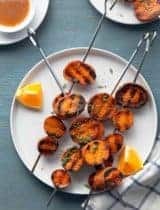 I love savory sweet potato dishes - these look wonderful, especially with the aromatic spices you used! I've never made anything Moroccan spiced, at least not on purpose, but I do love all the flavors, and I LOVE sweet potatoes. Sounds like dinner tonight. A plate of these is all I'll need! So glad you liked the soup Eva! Beautiful flavors, I love the spice combination, it brings me back memories. Beautiful dish, Sylvie! I just got a 5 lb bag of sweet potatoes today. Now I know what I'm making tonight! Extra points for the coconut oil! Beautiful dish! Sweet potatoes is a near perfect food and I'm happy to find one more way to make them. How fun, mixing them with carrots. I don't bake vegetables often enough! This looks super comforting and delicious. I love love LOVE these flavors!! Without a doubt, I could down it all in minutes. No help needed. I love this combination of sweet potatoes and carrots - lots of sweetness but counteracted by all that lovely spice! Sylvie- LOVE LOVE LOVE this. Sweet potatoes are one of my favorite, so I'm always trying out different preparation methods and spices for flavoring. I can't wait to make this. Love the inclusion of Moroccan flavors in this dish. 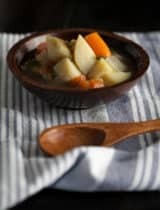 I'm eating more seasonally these days, so root veggies are my veggies of choice. 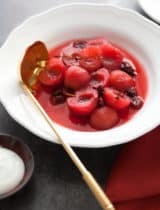 Finding ways to make them taste interesting as different side dishes is sometimes a challenge, but I love using Middle Eastern spices, so I'll be sure to try this! Beautiful! !! Sweet potatoes are my favorite n moroccan spices are just what is needed to add the exotic deliciousness here. .. Perfection! I love roasting vegetables - what a great twist with the Moroccan spices and olives! I have been potato fan for as long as I can remember! The flavor of moroccan spice on sweet potato sounds stunning. Perfect, I love sweet potatoes and usually always roast my veggies. It brings on a whole new flavor! Its always that your recipes reaches my pin boards faster tan I could come here to comment :) Love the simple and healthy recipe with minimal ingredients. And amazing clicks, as usual, Sylvie! I love the idea of carrots and sweet potatoes together...they match beautifully. Also I love that you used coconut oil...must try that instead of the usual extra virgin olive oil. I love carrots and sweet potatoes but usually I don't know what to do with them. Thanks so much for sharing this. Love the spices you paired with them. I love roast sweet potatoes! But I've never roasted them with carrots - wonderful idea. And the Moroccan seasoning is a terrific idea. Good stuff - thanks. What a beautiful dish! Love the flavors you used. We'll have to try this one soon! What an incredible dish! I love the colors and I can only imagine how well the flavors work together. Yum! 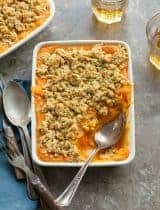 my family loves sweet potatoes and I'm always looking for new recipes! I bet they'd love this! This recipe is so yummy. I had the with other lovely paleo sides with thick steaks on the BBQ. Lovely Aussie meal in the summer heat! I never thought I was a sweet potato girl until I tried spicy sweet potato fries. Those changed everything! Now I can't get enough roasted, savory sweet potatoes. Your version here looks amazing, Sylvie. I roast veggies too, especially sweet potatoes are my favorite. I was very curious to see what kind of spices you used. I'm still new to Moroccan cuisine and wanted to know how it tastes like. This sounds really wonderful Sylvie! Quick question - I have a coconut allergy (something I'm NOT happy about) but this recipe sounds delicious. Is there anything I can substitute that two TB of coconut oil with without sacrificing the taste of the final product? Hi Stephanie, You can use olive oil or ghee (clarified butter) instead of the coconut oil here, either one would be fine based on your preference. 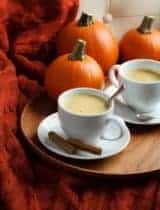 I have been on an exotic spice kick recently, so had to try this recipe and they are delicious! 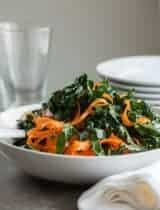 As I had no sweet potatoes at home and a lot of carrots to go I tried this recipe with carrots only. It made a wonderful side dish. Very yummy. Fantastic, I'm glad you enjoyed it! I usually never leave comments on recipe boards but tried this last night and these were DELICIOUS! 3 & 5 year olds gobbled them up - along with a husband who claims to hate sweet potatoes. Thanks so much! This is a sure way to get me to eat my veggies! Beautiful pics. Always pleasure to visit your site. The recipe sounds so delicious. I think I'll make this to take to our family Thanksgiving gathering! We have one family member with very strict food limitations, but she said this looked perfect. One question - did you use refined or unrefined coconut oil? I always recommend using an unrefined coconut oil. Beautiful - and as sweet as those veggies are raw, they are even more so after a nice roast. I bet this is a delicious dish! Amazing flavours! I do something very similar with carrots and cauliflower - love the sweetness and spiciness combined together! !